We believe every wedding should be reflective of the bride and groom’s personality, tastes and style. And every wedding should be fun! By asking you the right questions, giving you creative and unique ideas, thoughtfully programming music with you, and providing you with beautiful lighting options, we’ll deliver superior Emcee and mixing skills on your wedding day that only an experienced professional can. Let’s combine your vision with our experience to create the perfect atmosphere for your big day! We buy music almost daily and we always have the latest, biggest, newest, and best songs available. We can create an awesome atmosphere for your wedding with up lighting, monograms, and more. Your ceremony is a big deal to us. We have expensive, high quality microphones that sound great. My husband and I hired Bruce Battleson as the DJ for our wedding last weekend and it was a wonderful decision! Bruce was friendly, accommodating, and professional throughout the whole process. 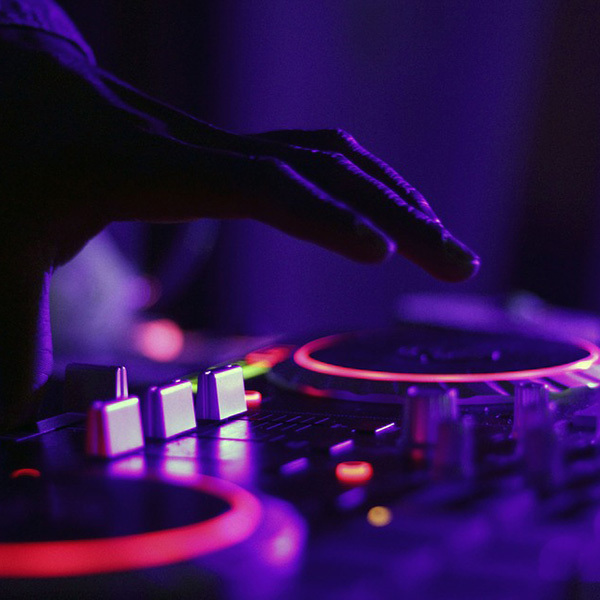 He has his own website and software that made it so easy to request specific songs, set up the timing for certain events at the wedding, and determine songs that you do not want to be played. Bruce was friendly and personable at the wedding and made sure our wedding was incredibly fun and unforgettable! 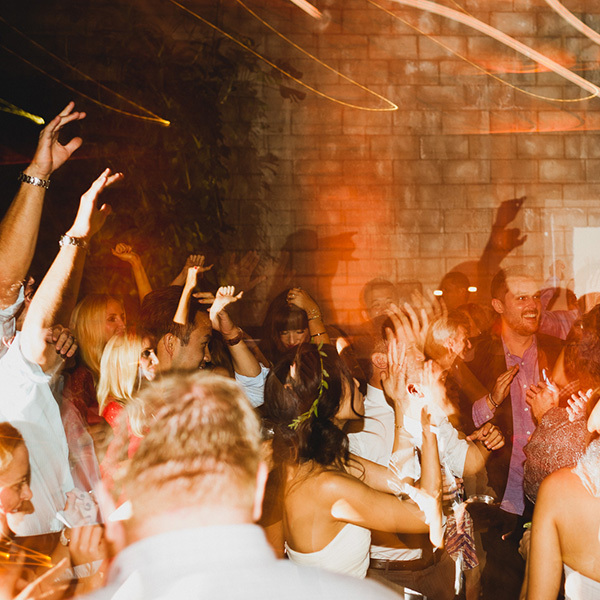 We are so happy that we hired Bruce and would encourage anyone else looking for a DJ for their wedding to do the same! Bruce was AMAZING!! He created a timeline and was very attentive with everything during our special day! I highly recommend Bruce!! He will have everyone dancing and has a very cool system where you can choose the music you want!! Thank you Bruce for making our day very special! Bruce just made our event! I can't tell you how many compliments we got on our DJ. He was so prepared and worked with us to make sure our day was that much more perfect. The music was the best and so fun people were out on the dance floor the entire time which is what I wanted. We can't thank him enough but I highly recommend if anyone needs a DJ for a wedding or event to use Battleson Entertainment. Bruce just made our event! I can't tell you how many compliments we got on our DJ. He was so prepared and worked with us to make sure our day was that much more perfect. The music was the best and so fun people were out on the dance floor the entire time which is what I wanted. We can't thank him enough but I highly recommend if anyone needs a DJ for a wedding or event to use Battleson Entertainment. Bruce made our wedding experience amazing. He conducted the MC roll perfectly and got the dance floor going till the very end of our amazing night. We couldn't be happier with our experience! Bruce is seriously the BEST DJ EVER! Our guests raved about how awesome he was throughout the whole wedding! Bruce was great in walking us through how to use the online system to pick out all our songs. As we got closer to our wedding day he scheduled time to go over all of the survey details with us. We live in New Mexico, but working with Bruce in California over the phone was super easy! The quality of his set up, equipment, microphone, and music was pure perfection. We really LOVE Bruce and cannot sing his praises enough for making our wedding one of the best people have ever been to. Bruce is seriously the BEST DJ EVER! 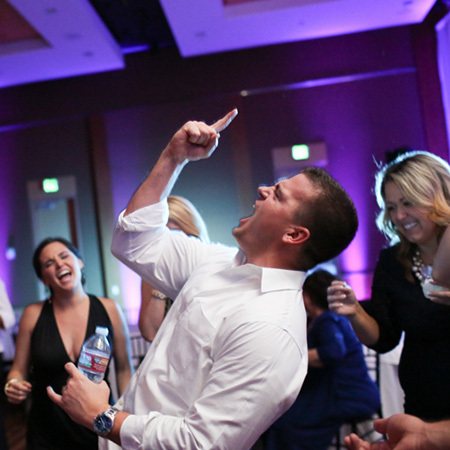 Our guests raved about how awesome he was throughout the whole wedding! Bruce was great in walking us through how to use the online system to pick out all our songs. As we got closer to our wedding day he scheduled time to go over all of the survey details with us. We live in New Mexico, but working with Bruce in California over the phone was super easy! The quality of his set up, equipment, microphone, and music was pure perfection. We really LOVE Bruce and cannot sing his praises enough for making our wedding one of the best people have ever been to. Imagine that your close family friend is a professional public speaker by day, a well-known club DJ by night, and a sound and lighting tech on Sundays. That’s what it’s like to work with us. Bruce Battleson started our company over two decades ago and we are still going strong after over 4500 weddings and events. Bruce and staff are serious about your wedding and are seriously fun!